AND ~ Here is one of my songs off my CD that was inspired by ACIM, obviuosly! It's called ["YOU'RE ALREADY THERE"]. 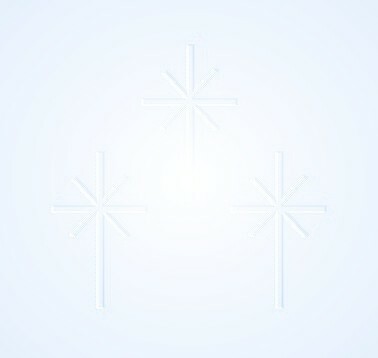 Here is one more ACIM inspired song I think you'll like. 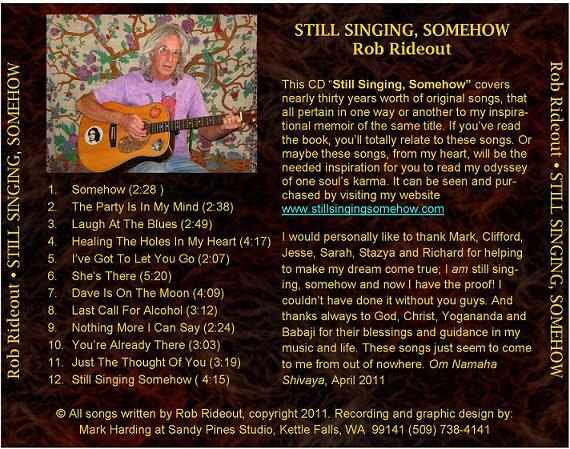 *Singer/songwriter Rob Rideout is the award winning author of Still Singing, Somehow. He lives on a farm with his three cats Baba, Maya and Olive overlooking Colville Washington. He recently published a second book of poetry, based on his song lyrics. His CD of nearly thirty years worth of original songs is due for release in June 2011. This CD is entitled the same as the book and meant to accompany both books. Readers who have already read Rob's inspirational memoir will get a whole new feeling and insight into the author, as they listen to him sing.